Reading like a mathematician is the focus of our next Reading and Writing Project. It is essential to remember that reading complex text also involves reading and comprehending pictures, graphs, and word problems. 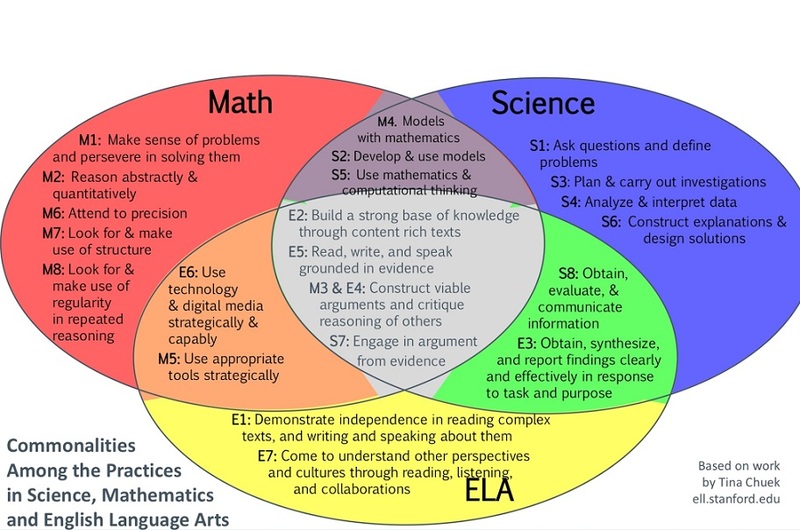 Additionally, we are always thinking about the focus on literacy in all contents as noted in the graphic organizer below (created by Tina Chuek, Stanford Edu). It is every teachers job on the middle school campus to teach their students to comprehend complex text in their content area. We are all committed to working together to make this village literate in every subject area. We have jumped with both feet into the CCSS literacy focus! Our math team created three days of lessons that address reading text, charts and graphs, and creating a written response. It can be a bit overwhelming to think about every teacher on our campus facilitating this lesson but our math team has thought of everything. They created a “How to Video” to support their teammates in this endeavor. GO MATH! Outline of the lesson and materials are noted below.